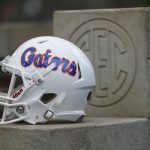 The second release of the 2016 College Football Playoff Rankings were announced on Tuesday with the SEC East-leading Florida Gators falling all the way out of the top 25 after debuting at No. 11 just a week ago. Three-loss Arkansas, which beat Florida 31-0 last Saturday, checked in at No. 25. LSU, which fell to No. 1 Alabama, plummeted 11 spots all the way down to No. 24. Let’s take a look at the top 25. 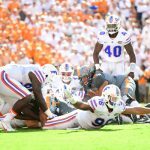 Is this fair for the Gators? Probably. Though Florida only has two losses to this point, you would be hard pressed to say that it would surely defeat any of the 25 teams above. UF also doesn’t necessarily have a win better than some of the three-loss teams that are ranked. While all that should really matter for the Gators is to win out, being completely out of the rankings with three weeks to go in the regular season makes it an extreme long shot for Florida to even have a narrow opportunity at the College Football Playoff. Then again, if UF did run the table and somehow beat LSU, Florida State and Alabama, well, that would just be a miracle. Right now all Florida should really be concerned with is winning the SEC East. In order to do so, it either needs to win out (vs. South Carolina, at LSU) or win one of those two games and hope Kentucky beats Tennessee on Saturday. 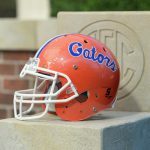 College Football Playoff Rankings: Are the Florida Gators overrated or underrated? I am ok with it. If you stink it up you should drop. The only one I don’t get is ATM. How did they stay so high up?